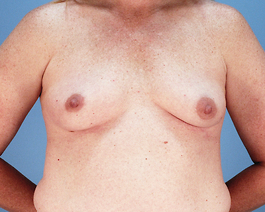 This 26 year old Virginia Beach patient was referred by her friend for breast augmentation. 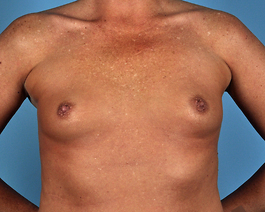 She wanted a fairly large gel implant and considering she is thin with very little breast tissue padding, we spent a lot of time with detailed planning discussions prior to surgery. More volume can be accomplished in this situation with high profile implants. 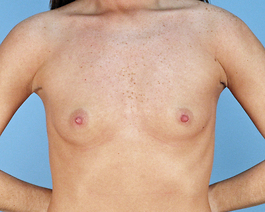 However, the somewhat wider, moderate plus implant will give less apparent distance between the breasts. We chose an implant that gave her as much size as we could but still kept the diameter or width of the implant near optimal. 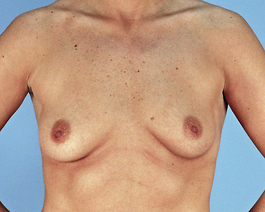 She is very pleased with her soft and natural feeling 450cc moderate plus gel implants.